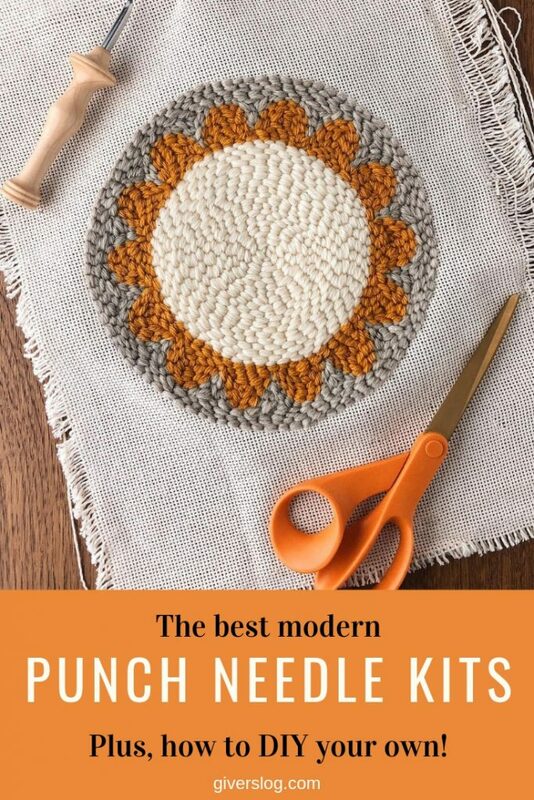 Check out this list of the best punch needle kits that have all of the supplies you’ll need to start your first punch needle embroidery project. Punch needle is a super fun fiber craft that is enjoying a huge surge in popularity. 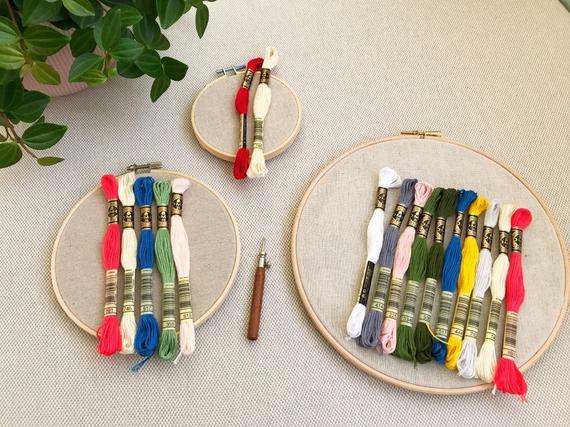 It’s a great craft for beginning crafters and experienced fiber artists alike. 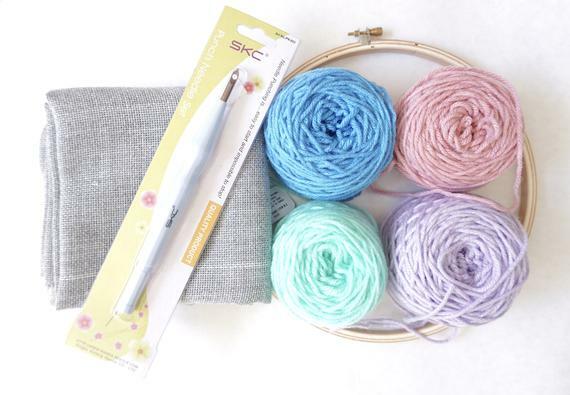 The Amy Oxford Punch Needle is one of the best punch needle tools on the market. You can sometimes find them in stock on Amazon, or on AmyOxford.com. If you are looking for a more inexpensive punch needle tool, try this plastic-handled tool on Amazon. The right type of Monk’s cloth is hard to find outside of specialty stores. You can find it on Etsy or online at Dorr Mill Store. Some of the most loved rug yarn comes from Seal Harbor Rug Yarn, Halcyon, or Violet Jane Yarn. If you don’t need the durable quality of 100% rug yarn, you can also experiment with bulky-weight knitting yarn. You can also use two strands of worsted-weight yarn held together, or even 3 or 4 strands of sock-weight yarn held together. 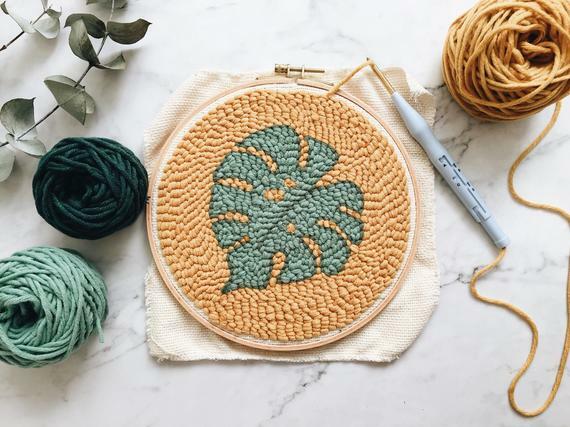 Here’s another post all about my favorite punch needle supplies, in case you’d like to buy the supplies and tool separately. 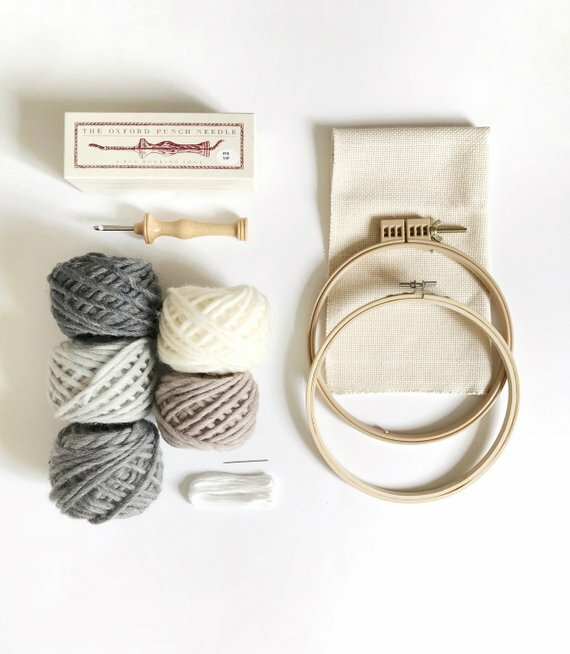 If you’d like to purchase a ready-made kit with all of the supplies assembled for you, here are some of my favorite kits. 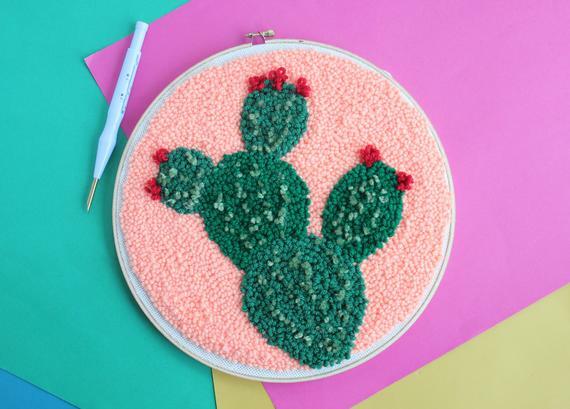 Looking for more help with punch needle? 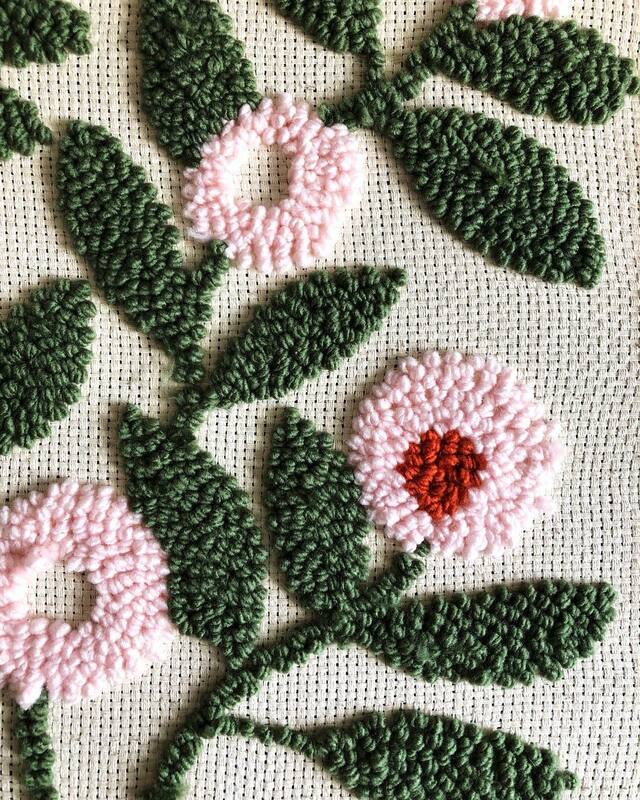 You might like to read my Top 10 Tips for Punch Needle and Punch Needle FAQ: Troubleshooting Problems. Love the way you share tricks and explain. I’m a Danish crafter (feltmaker/crocheter/weaver/ knitter/and more;-) and now i’m falling in love with this wonderfull work. It’s NOT yet really “in” in Denmark, but Pinterest is a wonderfull place to learn and gerning ideas. I can see that some artists are referring to different stitches in there punch-workings, but I can’t find any directions on how to do them. Perhaps you would like to do a review of them here on your page?? ?